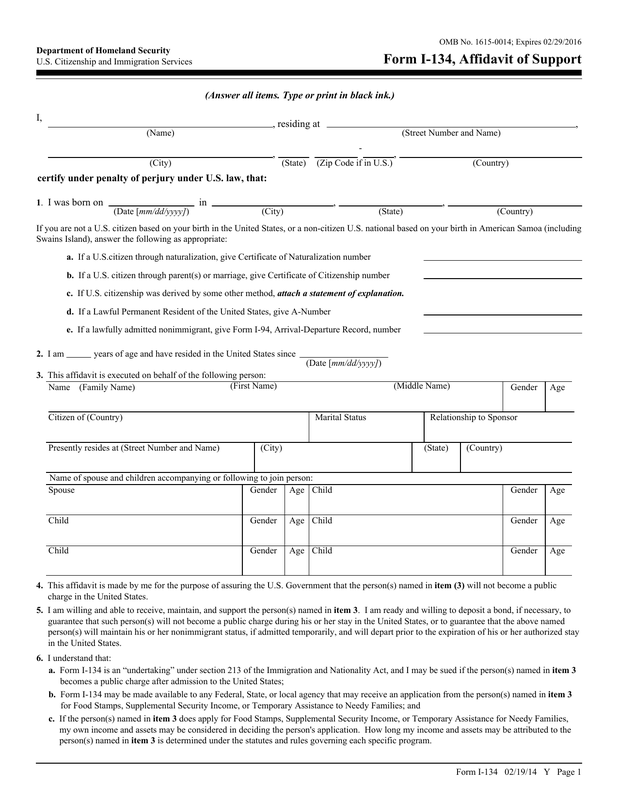 Download Form I-134, also known as Affidavit of Support to assist aliens who are seeking admission or an adjustment as a permanent resident and need the assistance of a sponsor. This form may also be used in any situation in which you are not admissible based on public charge grounds, but also in a case whereas you are not required to have Form I-864 filed on his/her behalf. Complete this form entirely and as accurately as possible. 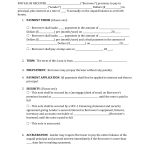 You must only use black ink to complete this form. 1. I was born on – Date mm/dd yyyy – in – (place the name of the city you were born in, on the “city” line) – On the “state” line, place the name of the state you were born in. c. If U.S. citizenship was derived by some other method, on a separate sheet of paper attach a statement of explanation. 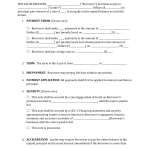 Once complete, sign and date that added sheet. Read sections 4.,5.,6., carefully as you will be held responsible for the people listed, financially, physically etc. Addressing Income – Read each sentence regarding your income and enter the appropriate number for the next 7 lines. If you do select “intend” expand on exactly what it is that you are willing to provide, from money, room and board to clothing, transportation etc.